Released: October 2014. Genre: Survival Horror. Other versions: XONE; X360; PS3; PC. After the travesty that was Aliens: Colonial Marines, many had lost hope that we’d get a truly great new instalment in this franchise. You’d think it’d be really easy to take H.R. Giger’s scary creatures and make a horror game, but time and time again, developers have come up short. 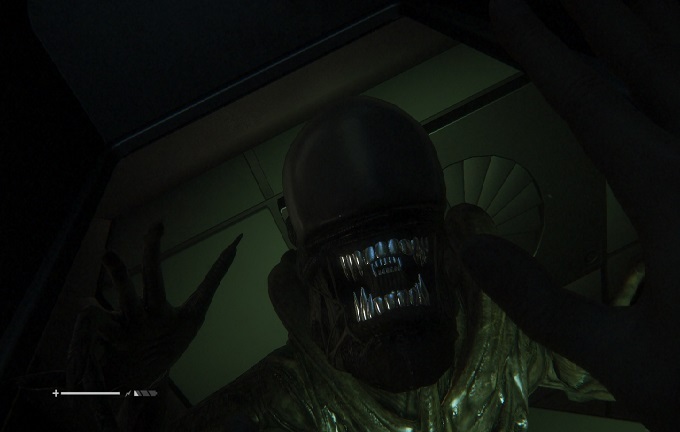 But now, Creative Assembly hopes to restore faith and use next-gen power to give gamers a nightmare-inducing, terrifying Alien game. 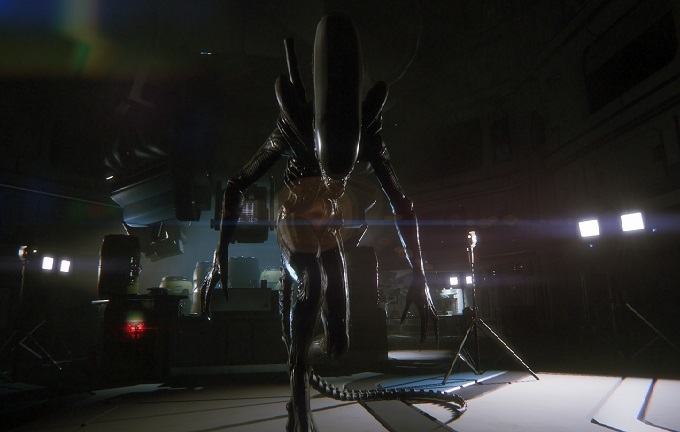 It certainly comes close, and it’s easily the best Alien game in years. 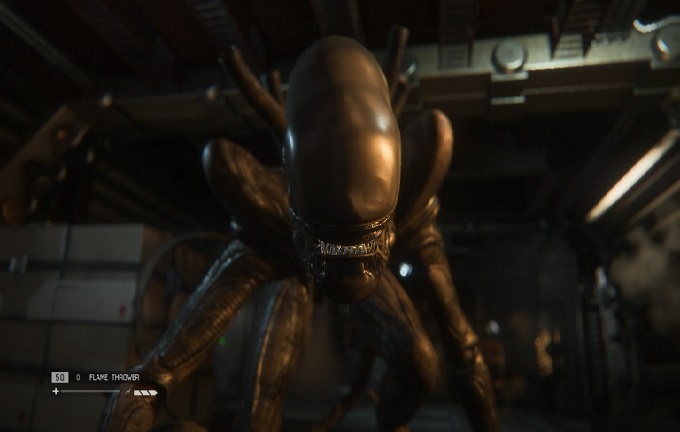 And while a couple of issues stop it from being up there with the best of the genre, any fan of both horror games and the Alien franchise will fall in love. 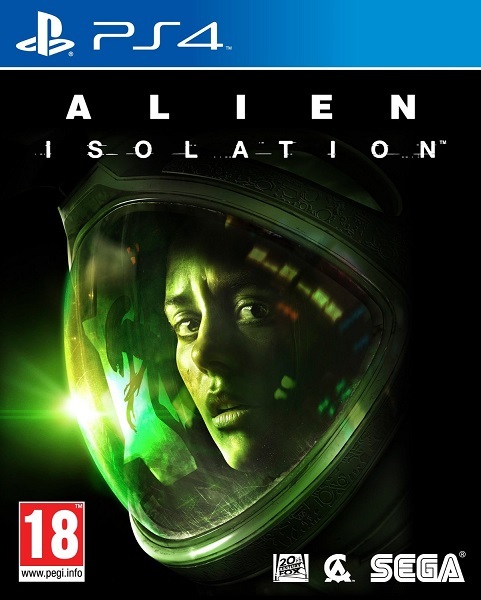 Set in-between Alien and Aliens, Isolation follows the story of Amanda Ripley, who is torn up about the disappearance of her mother Ellen. But an opportunity for closure presents itself as a Weyland Yutani synthetic Samuels offers her the opportunity for closure through a supposed Flight Recorder from the Nostromo, located on Sevastopol Station. But, naturally, things take a dark turn as the station is not only has an Alien started to terrorize and kill the crew members, but Amanda must also avoid out-of-control androids. While Amanda makes for a likable lead, and the story serves its purpose well, stuttering cut-scenes and lacklustre voice acting serve to diminish the narrative highs. That being said, it offers a nice middle ground for Alien fans. "So... are you sure this is all you hid in your coat? Be honest"
It seems that The Creative Assembly certainly picked up a thing or two from Outlast, a fellow horror highlight. Essentially a survival simulator, the main difference is that Amanda does come equipped with some defensive measures, but weapons such as a revolver and shotgun does no damage to the persistent Alien, and come with scarce quantities of ammo. 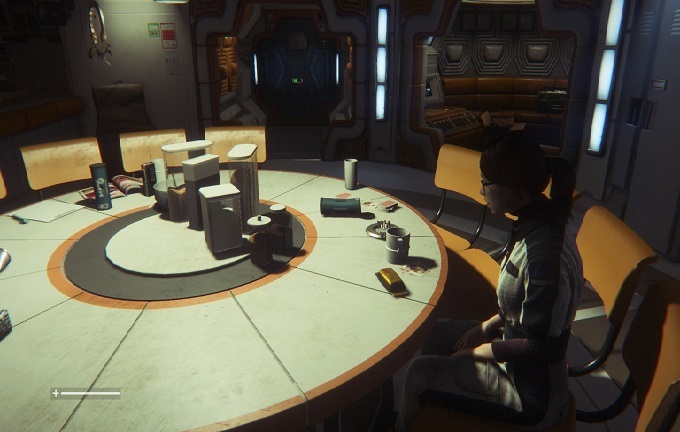 Throughout the game’s eighteen missions, you’ll more often be hiding in lockers and ducking under tables rather than pumping lead into any Alien. Though there’s a bit more freedom when approaching humans and androids, you’re often so outnumbered that a direct approach is never optimal. 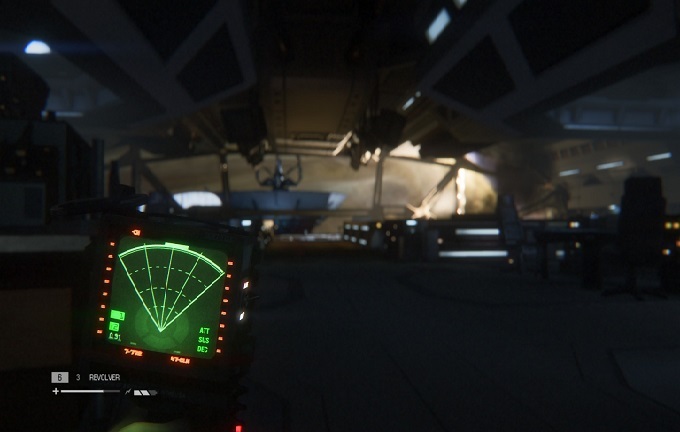 This means Alien Isolation maintains a sense of dread, as each difficult situation keeping you on edge, and the fear of getting caught out leading to some scary highs instead of pure jump scares. And it works very well. Part of this is the Alien itself. Though playing on higher difficulties fully brings the Alien to life, it still contains some masterful AI, as the random and challenging nature of the Alien often leads to some nerve-jangling sequences. Reacting to any noise you make, whether it’s simply knocking a fire extinguisher over or using your motion tracker, the Alien will insta-kill you upon detection. 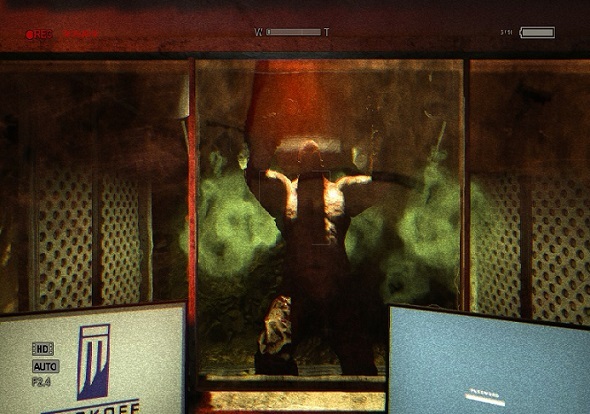 There are some methods of avoiding it, as you can hide under desks and in lockers, distract it with craftable items or even try to scare it off using weapons. All of these have risks though – lockers require you to maintain your breath in order to avoid detection, craftable items require scarce resources and sometimes just lure it straight to you, and weapons will sometimes leave the Alien unphased, causing it to charge straight at you. And there is no more terrifying sight than seeing the titanic monster sprint towards you and, every time, murder you. There’s also a nice sense of freedom to each mission. Sevastopol is designed in a way that echoes the likes of Metroid, where areas are often blocked until you find equipment, be it a better hacking device or blowtorch, to open the path. One mission allows you to explore the station in full – still pursued by the Alien, mind – and open up blocked areas for collectibles. With 150 logs, 10 Nostromo messages and ID tags to collect, there’s plenty to track down. The dynamic Alien allows for similarly open approaches, as you use vents and other methods to avoid the monster, though it’s not guaranteed it’ll keep you alive. Situations with humans allow you to use some initiative, such as luring out the Alien to kill the humans, but it can be a double edged sword as bringing out the beast could get you killed too. "I'M READY FOR MY CLOSE-UP!" The earlier sequences prove very terrifying, such as one in a medical bay which tasks you to find a password and keycard while the Alien is on the hunt, and the random nature of the Alien keeps you on your toes too. Even sprinting can cause it to show up. The concept doesn’t feel too stretched though, as the game varies between avoiding the Alien, humans or Androids while mixing traditional scavenging true to survival horror. That being said, Isolation’s remarkable length can be taxing. Taking close to twenty hours to finish, later sequences start to become tedious, especially when some insanely frustrating situations are thrown your way. Chapter 14, in particular, is an absolute nightmare and, while certainly scary, is unfathomably punishing, and nearly caused me to quit. But these issues are easier to forgive thanks to the amazing, faithful atmosphere. 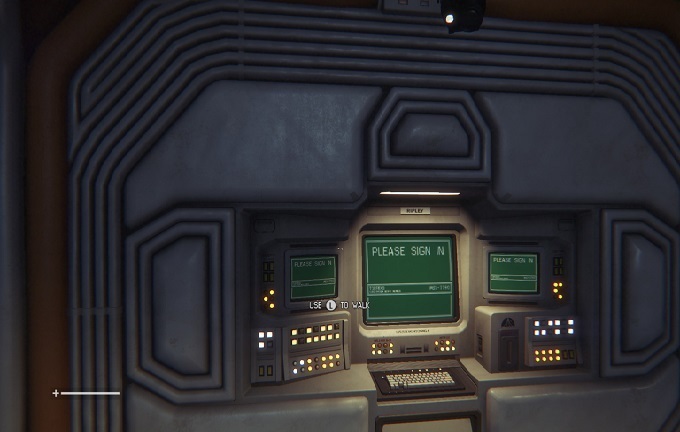 There is no mistaking this as an Alien game, from the outdated computers to the way the Sevastopol Station is designed. Hacking-mini games look like something from an Arcade, rooms contrast between extremely dark and bright and the retro 20th Century Fox opening mimics the original film: in other words, Alien embraces its heritage rather than ignores it. The game is pretty snazzy looking too, with detailed environments, excellent lighting and a smooth frame rate during gameplay. The audio is also great, with excellent, atmospheric use of music and sharp, nostalgic sound effects, such as the whoosh when doors open and the trademark Alien hiss. The only downer is the voice work, which often feels flat and dull. So while perhaps a bit lengthy and frustrating in spots, Alien Isolation is perhaps the most faithful to the long-standing franchise. 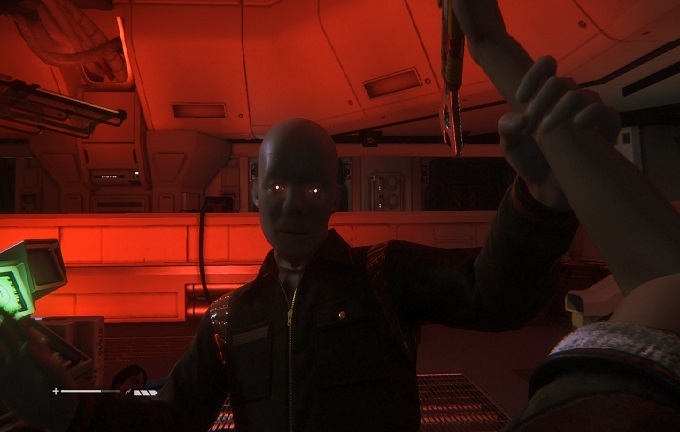 Often inducing terror, and always leaving you unsettled, the dynamic Alien and pure horror roots make it one of the most punishing but satisfying games to conquer on the eighth gen so far. It’s just a shame the story isn’t as good as the brilliant atmosphere, yet your steps into a familiar Alien-ship will be ones you enjoy. Perhaps with a few hours trimmed off, and a few less soul crushing situations would have made this one the best, but it certainly remains great and one which any survivor horror fan should pick up.